Do you ever feel like there’s so much to do but not enough time to do it in? I feel this way whenever I go on holiday to one place, but I’ve been thinking recently about where I’d really want to go in the world. And when I started making a little list to myself I realised there are so many places I want to go that I may as well start putting them in alphabetical order! Now the list is massive so I may be a little ambitious in trying to see all these places, but I’ll try and start small. So here are three places that I’ve been thinking about, all beginning with “A”! Yes, whenever you ask someone in the UK where they’d really like to go, they always say Australia, and to be fair, I would too. It seems like a haven of sunshine, lovely friendly people, and loads of beautiful sights. They say the best way to see Australia properly isn’t to jet-hop from place to place, but to hire a car and see the country on an amazing road trip. While driving around Australia would take 18-months, there are some great trips you can make within a couple of weeks. Seeing as Sydney is really the first port of call when land, I had a look at some road trips from there. And you can drive south from Sydney and end up at Jervis Bay, which is a vast stretch of beautiful beaches (of course!) but you can also go kayaking on Currambene Creek or have a drink at The Husky Pub, where there are some beautiful views of the bay. But even en route to Jervis Bay, you will go via the Royal National Park down the Sea Cliff Bridge, which looks amazing. 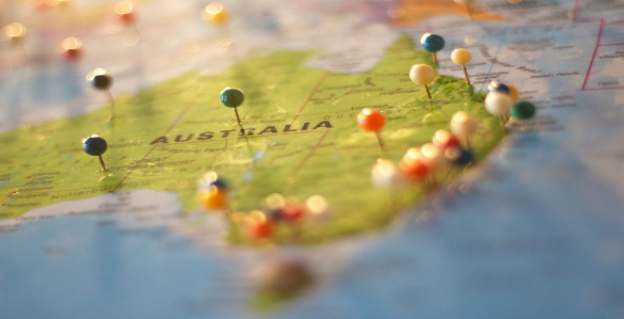 For the sunshine, amazing food and the beautiful scenery, is Australia one of the best places in the world? It looks like it! Austria is known for its skiing resorts, and as skiing is probably its most popular tourist attraction, I’d have to try this first. You can ski at any time of the year, and as summer is fast approaching, I looked to see what some of the best ski resorts are in the summer. Glacier resorts appear to be some of the most testing places for skiing, plus I suppose it’s a good way to get a workout in. The Pitztal is located near to the Tyrol and is a good place to get some late summer skiing in because it’s only open from Mid-September, so if you can get some pennies together it’s worth a go! But if you’re looking for somewhere with better access to an airport, the Stubai Valley isn’t far from Innsbruck, and they seem to have some challenging runs, but they’re only open from Mid-September. If you’re looking for something open all year, Hintertux is tucked far out of the way, so it is a trek, but the sights are seemingly worth it! If you’re thinking about going glacier skiing, it’s best to go in the morning and do a few hours because the terrain is icy in the morning but slushy in the afternoon. So you get some time to explore the nearby valleys, or just chill out. You’ve got to do some skiing in your life, and exploring Austria via ski sounds like a perfect way to enjoy your holiday. For somewhere that has an amazing place full of atmosphere, Argentina looks to be such a fantastic choice. And the choice of things to do, from tangoing in Barrancas de Belgrano park in Buenos Aires, to tasting wine in Mendoza and eating beef in, well, anywhere, it looks I wouldn’t want to leave. And the weather! Now, I love London, but the sunshine isn’t really its big selling point, is it? I could go hiking across The Andes or see the beautiful plains of Tierra del Fuego. And Antarctica isn’t far away either! For a place that’s full of character, and surrounded by so much beauty, you’d never take it for granted! While these are merely dreams right now, there will be a time that I plan to start ticking these off one by one. But if you’re like me and constantly dream about seeing more of the world, but money is holding you to ransom a bit, maybe it’s time to start saving and do your own alphabet of the world! You’ve got to go and see the world, so do it!